Pakistan Prime Minister Imran Khan left for Saudi Arabia to attend an investment conference boycotted by other leaders over the death of journalist Jamal Khashoggi at the Saudi consulate in Istanbul, Turkey. Khan told an interviewer before leaving he was concerned at Khashoggi's death but could not skip the conference because "we're desperate" for possible Saudi loans to shore up Pakistan's economy. It is Khan's second visit to Saudi Arabia in just over a month, but he has not succeeded in securing significant financial assistance to stave off a looming balance of payment crisis. Khan told the Middle East Eye in an interview published on Monday that he could not pass up the invitation to meet Saudi leaders again. "The reason I feel I have to avail myself of this opportunity is because in a country of 210 million people right now we have the worst debt crisis in our history," he was quoted as saying. "Unless we get loans from friendly countries or the IMF (International Monetary Fund), we actually won't have in another two or three months enough foreign exchange to service our debts or to pay for our imports. So we're desperate at the moment." 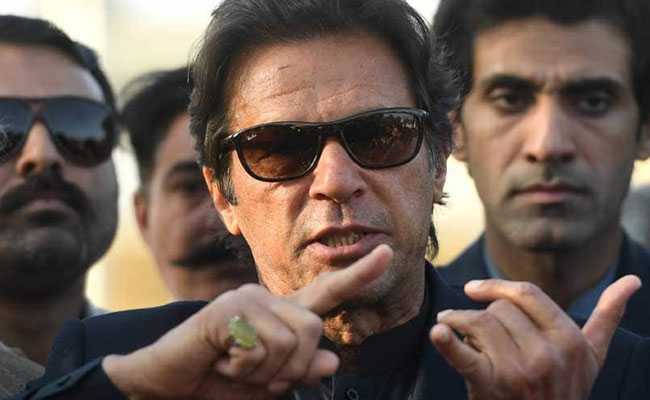 Finance Minister Asad Umar and Commerce Minister Abdul Razak Dawood are accompanying Khan, a statement from Khan's office said on Monday, adding it "will give a chance to connect with those people who are interested in investing in Pakistan". The central bank's foreign reserves dropped this month to $8.1 billion, a four-year low and barely enough to cover sovereign debt payments due through the end of the year. The current account deficit has swelled to about $18 billion. Khan has blamed the previous government's policies for the ballooning current account deficit. He told the Middle East Eye that he was concerned over the "shocking" death of Khashoggi, a U.S. resident and Washington Post columnist, after he entered the Saudi consulate in Istanbul. "The Saudi government will have to come up with an answer... We wait for whatever the Saudi explanation is," he was quoted as saying. "We hope there is an explanation that satisfies people and those responsible are punished."